Filming is underway for the latest episodes of the BBC’s 'Fake or Fortune?' which is scheduled to return to TV screens later this year. 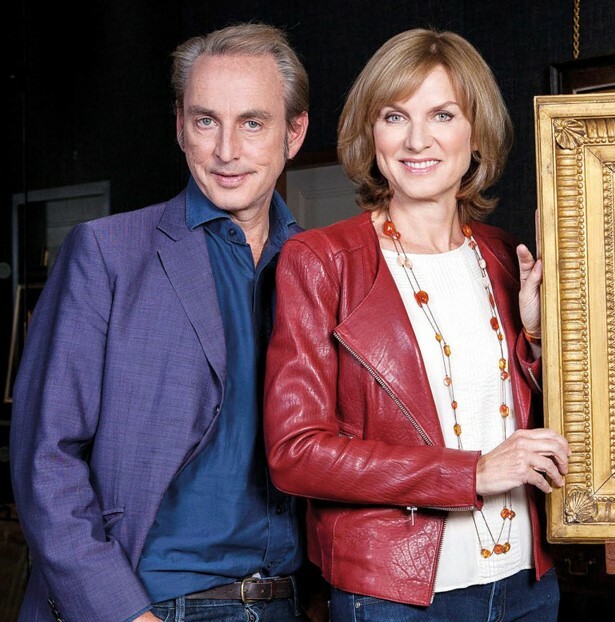 Art dealer Philip Mould and presenter Fiona Bruce are the stars of the BBC’s Fake or Fortune? Photo credit BBC/ Emilie Sandy. The popular show follows art dealer Philip Mould and broadcaster Fiona Bruce who investigate whether artworks submitted by members of the public are actually genuine and important discoveries. Once a project is excepted the pair track down the provenance of works of art with the aim of proving their authenticity, helped by evidence from family collections, museums, archives and laboratories. Each episode concludes with the work presented to the relevant authorities for the final verdict. Alongside the Antiques Roadshow it is one of the most watched arts programme on television, regularly drawing audiences of more than five million in the UK. 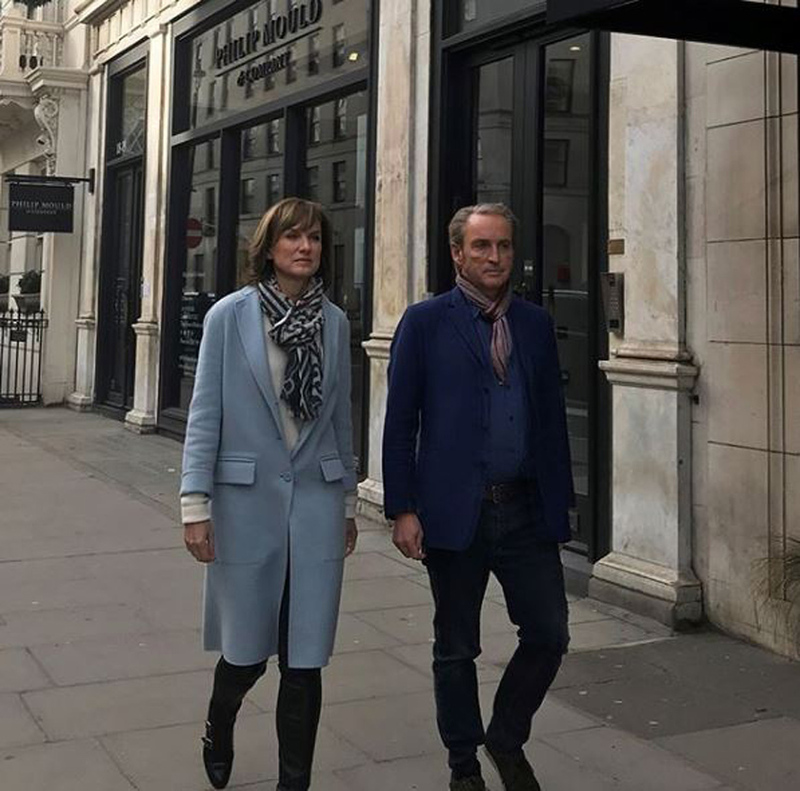 Philip Mould and Fiona Bruce while filming for the eighth series of Fake or Fortune? Image credit Philip Mould. 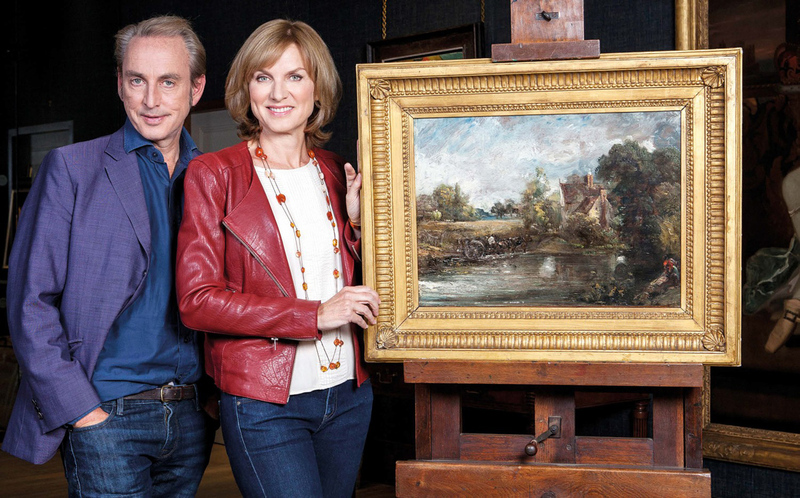 Philip Mould and Fiona Bruce with a John Constable painting from a previous episode of Fake of Fortune? Photo credit BBC/ Emilie Sandy. Previous episodes have included investigations into works purportedly by Pierre-Auguste Renoir, John Constable, LS Lowry and Lucian Freud. The BBC confirmed the new series is in mid production and is due to broadcast later this year. Read an interview with Mould and Bruce here. Behind the scenes at Fake or Fortune?